It’s never to early to start planning for colder weather. 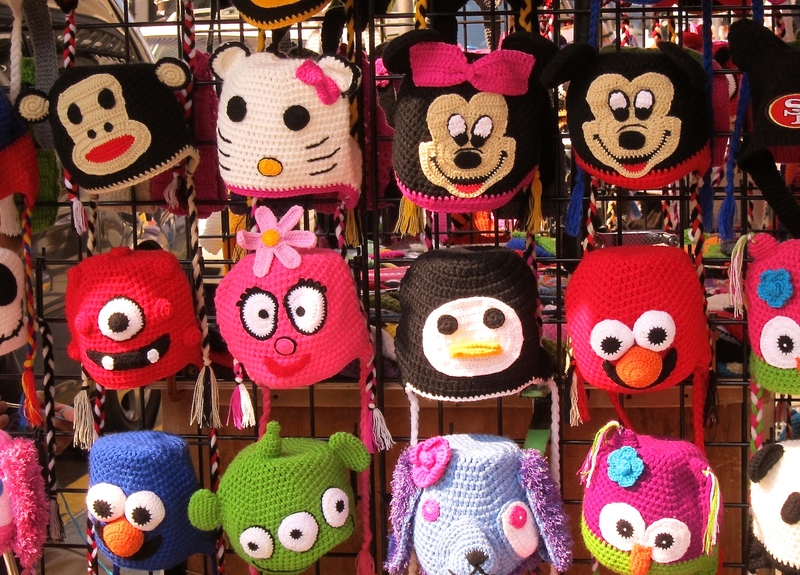 These silly winter hats, spotted in San Francisco last fall, caught my eye and really made me chuckle. I love the idea of wearing a different character for each day of the week.